Foie Gras Hot Dog . 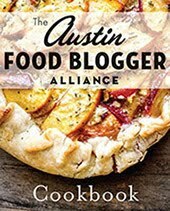 Austin, TX: The things we do not talk about. The things we do not talk about. 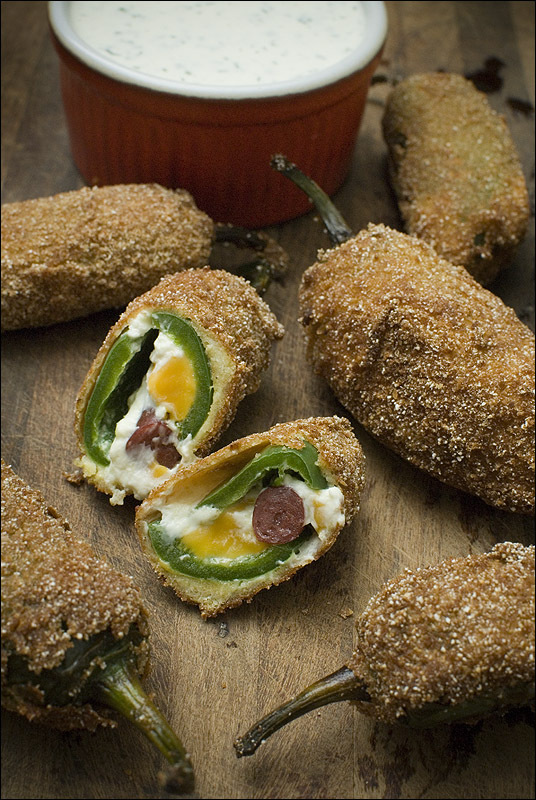 Jalapeño poppers are pretty pedestrian fare nowadays. Restaurants push pre-fab Sysco peppers and the grocery store sells sad, tiny, tamed versions in boxes and bags in the frozen section, stuffed with either oily, heavy cream cheese or bland, greasy cheddar. They are the size of chicken nuggets and they're as interesante as white bread and about as interesting as... pan blanco. 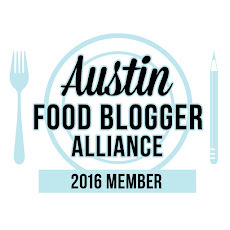 We rocked the boat with Bitchin' Bacon & Beef Bombs last year and I'd been wondering where the next happy appetizer opportunity lay. When I told Julie about my idea to put snack-pack jerky-n-cheese inside a jalapeño with a bread crumb and white cornmeal crust, she said I was being sensationalist... crazy for the sake of being crazy. I only agreed with her a little. Near as I could tell – after exhaustive research on the internets and more than a few beers – no one had put these together before. 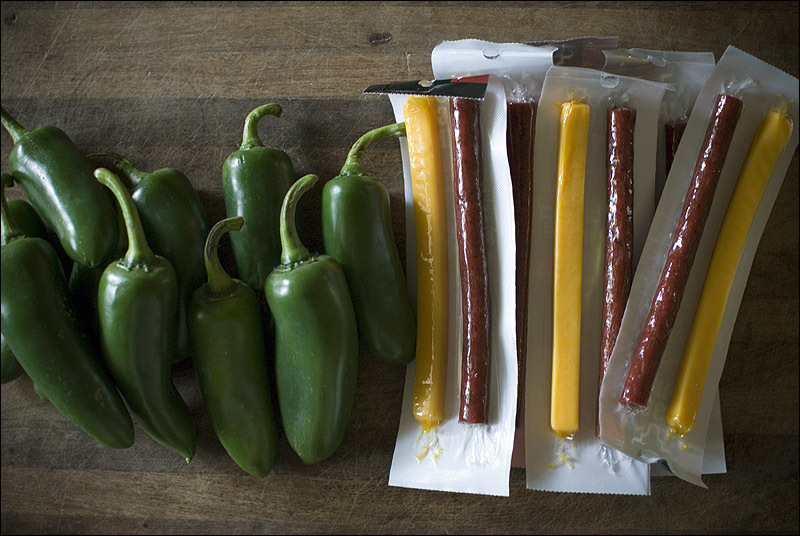 There are a million jalapeño popper recipes, and I couldn't find a single one that had the unholy marriage of a jerky-n-cheese snack-pack stuffed inside. That either meant that no one had thought of it, or someone had done it already and they were really, really, horribly, unspeakably bad. But I couldn't get it out of my head. Actually, I made a few incarnations of them. Round one was roasted jalapeños, which were too flaccid to work with. Round two was fresh jalapeños, split from tip to base with seeds and membranes removed (it looked like a little crocodile head! ), and stuffed with the beef jerky and the 'merican cheese that came with it. Those weren't... uhm... full enough. The beef and cheese were just rattling around inside the hollow pepper and I felt sad for them. Round three was right on. Cleaned-out crocodile-head cut jalapeños, a more than healthy smear of cream cheese, jerky and its yella cheese friend nestled in, run through an egg wash and then a 50/50 seasoned bread crumb/white cornmeal mix (let dry and repeat three times)... oh boy. I froze them overnight and then deep-fried them a few at a time at 365-degrees in the old cast-iron Wagner #8 chicken frier, made some homemade buttermilk dressing for dipping and then I felt really guilty for a couple days. Because they were convenience-store-snack-aisle-trashy and deep-fried-spicy-salty-delicious. Oh Man. I am salivating on the keyboard right now. A worthy sequel to Bacon-Beef-Bombs? Ross, they're good but they're not B.B.B.B. good. Aw yea! I love jalapeño poppers - with the caveat that I too have found most commercial ones to be bland, tame, and uninspired. Not enough punch, both with the spice and the taste. These sound awesome! Best made with water-starved jalapeños for that extra zing, I say. And nothing wrong with a little convenience-store-snack-aisle-trashy, or deep-fried-spicy-salty-delicious. Carry on! Jonathan, I appreciate your support. There simply aren't enough choices from the land of misfit appetizers.